This Friday is the annual celebration of the United Nations’ International Day of Peace – “Peace Day” – which is observed around the world each year on September 21. Established in 1981 by a unanimous United Nations resolution, Peace Day provides a globally shared date for all of humanity to commit to PEACE above all differences and to contribute to building a worldwide culture of peace. I am so grateful that each year in Houston, there is some sort of commemoration of this day. This year’s event that I am PICK-ing is at the Rothko Chapel; check it out below for more info. I hope that you’ll take some time this week to reflect on peace and to see how you can bring more of it into your own life. Can you slow down in traffic? Will you be more patient with your kids/spouse/doctors/friends? What’s one kind thing you can do for a stranger? Do you meditate every day? Peace in our world begins with peace in our backyard. We are the most diverse city in the country, not only because of the over 150 languages spoken here every day, but also because of the diversity of events offered and places to hang our (cowboy) hats. Because of that, I decided back in 2004 to start sharing my adventures in Houston and my knowledge of it with others via GISH PICKS. And, since 2016, I have been bringing it to life with my PICKS-ON-WHEELS Facebook Live segments in which I travel around our city in my Phoenix Rising Art Car. My adventures will sometimes be posted as my weekly VIDEO PICK in this blog. Take a break on a school night (hey, it’s almost the weekend!) today (Thursday, September 20) and go see “DIGIMON ADVENTURE tri. : Future” in a special one-night-only presentation at three Houston theatres. 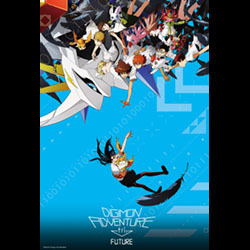 This kid-friendly Japanimation film is the story of the “DigiDestined” who are being threatened by Digimon as their Real World is about to be swallowed up by the Digital World. Tickets are $13.53/each. 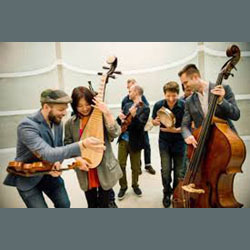 In observation of Peace Day, the Rothko Chapel presents a performance by members of the Silkroad Ensemble, while in residency at Rice University, in collaboration with the Aga Khan Council this Friday, September 21 at 7pm. They are only accepting walk-ups so give it a try! 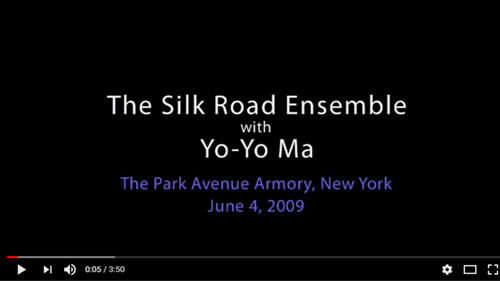 Silkroad was conceived by cellist Yo-Yo Ma in 1998 as a way to bring together globally diverse musicians and create connections while reducing divisions. More about the event is here and this week’s VIDEO PICK features the group. If you haven’t been to beautiful McGovern Centennial Gardens – please go. This time of year is perfect to enjoy its outdoors amenities (which includes plenty of parking!) 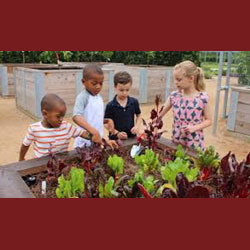 Every Friday at 10am, they host a free “Children’s Story Hour” in their Family Garden. After the reading, children are invited to participate in a fun activity like coloring a picture or planting a seed to take home. 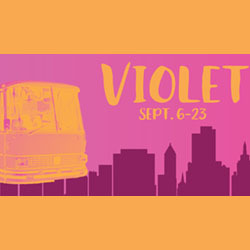 Queensbury Theatre is wrapping up its run of “Violet” this weekend, so see it while you can! This multi-award-winning musical follows a scarred woman who embarks on a cross-country bus trip to be healed by a minister, discovering the true meaning of beauty along the way. 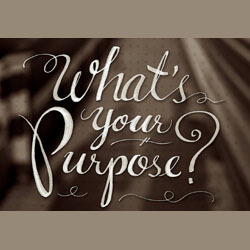 The show features music ranging from American-roots to folk to gospel. Queensbury Theatre was formerly the Country Playhouse and was founded in 1956. The Houston Public Library regularly organizes events for the whole family; this Saturday, September 22 from 2-3:30pm, they are hosting “Family Craft” at the Heights Neighborhood Library. 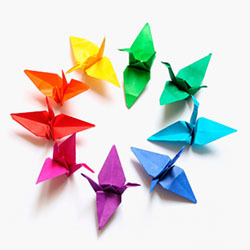 Everyone will get to learn about and make origami – all for free! The next “Family Craft” will be papier-mache acorns on Saturday, October 6. 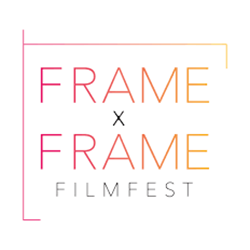 “Frame x Frame Film Fest” is a 3-day festival (September 21-23) that aims to bring dance filmmaking to Houston audiences while providing a platform for emerging and established filmmakers to share their work with the world – inspiring creativity and innovation. Short dance films by over 20 filmmakers will be screened at Ronin Art House (9/21), the Aurora Picture Show (9/22), and Houston Ballet (9/23). Enjoy special time in the Texas Hill Country for a “Rejuvenating Ayurveda-Recuperative Yoga Retreat” the weekend of October 26-28 at Samadhi Yoga Retreat, a 30-acre, eco-friendly retreat center between San Marcos and Wimberley. This event is for people who want to get away (but not too far away!) and explore their inner and outer worlds in a unique, natural, peaceful atmosphere. Led by Certified Yoga Therapist Marti Ewing and Ayurvedic Practitioner Karuna Diedericks, you will learn, heal, relax, and detox through Recuperative yoga, meditation, and Ayurvedic medicine. The retreat site features a unique pyramid created from native Juniper and you can take in inspiring sunrises and breathtaking sunsets and starry nights on top of the hillside that will revitalize your soul. 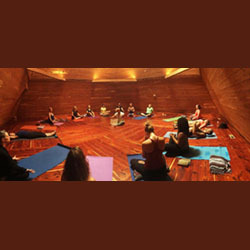 The retreat features multiple yin/recuperative yoga classes; an introduction to Ayurveda medicine and an Ayurvedic cooking class; self-guided and teacher-led meditations; access to the sacred grounds; guided hikes, maps, and directions to favorite swimming holes; a hot tub sunset view; and full kitchen access (four meals and kombucha will be provided, snacks and lunches will not). There are also optional a la carte services: a fitness assessment with Marti, an Ayurvedic medical consultation with Karuna, and massage. The full schedule as well as information about the accommodations are all on the retreat page. DEPOSITS ARE DUE BY SEPTEMBER 20; full payment is due October 15. 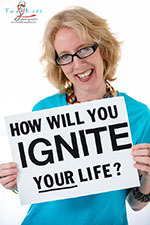 For more information and to register, click here.